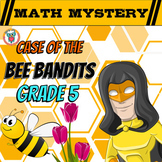 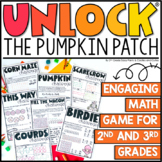 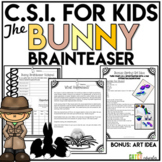 This collaborative puzzle solving activity will engage your students and review multiple skills. 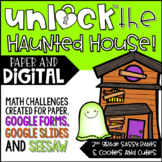 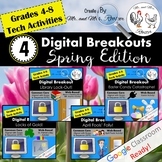 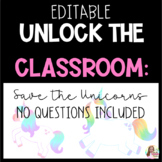 For this activity you will need: One large lockable box, one key lock, and 5 iPads with a QR code reader installed. 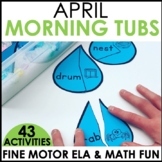 Skills reviewed in this activity include: (South Carolina Standards alignment) 1.L. 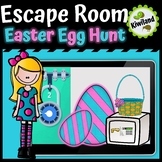 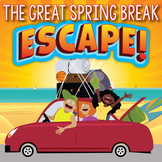 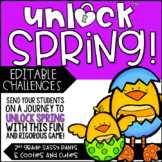 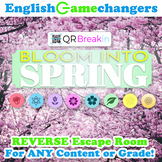 Bloom into Spring REVERSE Escape Room: Break IN to ANY Lesson or Content Area!